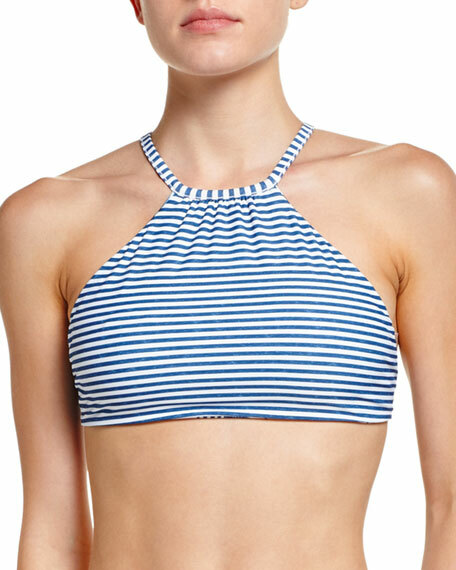 Seafolly "Tropic Coast" swim top reverses from floral-print to mini-striped microfiber. 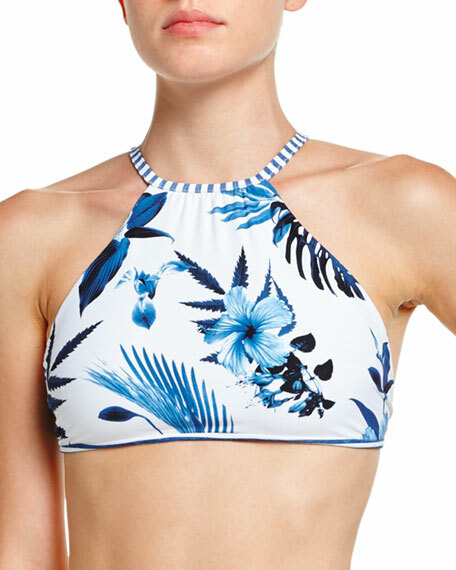 Shoulder straps crisscross over back. Shelf bra with removable cups. For in-store inquiries, use sku #1919969. Letarte rashguard in skull-patterned lace. Crew neckline. Long sleeves. Fitted silhouette. Pullover style. Lined bodice. Nylon/spandex. Imported. Model's measurements: Height 5'10"/177cm, bust 34"/86cm, waist 24.5"/62cm, hips 35"/89cm, bra size 34C, dress size US 4. Scalloped microfiber. Low rise. Moderate seat coverage. Nylon/Lycra® spandex. Imported. Model's measurements: Height 5'10"/177cm, bust 34"/86cm, waist 24.5"/62cm, hips 35"/89cm, bra size 34C, dress size US 4.